How Do You Deal with Irrational People? it clear that the only way to get along with them is to co-dependently acquiesce to their wishes. As long as you’re willing to stay on the bottom, things will work out just fine for the bully. That’s a hard place to live.How do you deal with an irrational person? Jesus provides some answers for us. 1. Stay Calm. When someone yells at you, it’s hard not to yell back. But, then again, you’re not in Kindergarten any more. If the other person decides to jump off of the cliff emotionally, jumping off with them won’t solve anything. 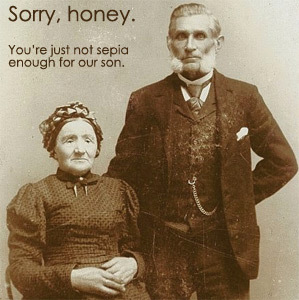 (Remember what your mother used to say. )The Bible tells us, “A gentle answer turns away wrath, but a harsh word stirs up anger” (Proverbs 15:1). This is a proverb, not a promise. Jesus gave no harsh words. He stayed calm. 2. Speak the Truth. When people are upset, it’s easy to start back pedalling and even saying whatever it takes to get them out of your face. The problem is that you lose your integrity in the process. The Bible says, “…a double-minded man [is] unstable in all he does” (James 1:8, NIV 1984).The great thing about always telling the truth is that you don’t have to remember what you said. If you always tell the truth, you’re consistent. But, it’s necessary to “speak the truth in love” (Ephesians 4:15). Truth-telling is not an excuse for rudeness. 3. Avoid Personal Attacks. Jesus taught to turn the other cheek (Matthew 5:39), then He got slapped. He didn’t over-react. He didn’t retaliate. He didn’t call down 10,000 angels (Matthew 26:53).Jesus knew that His accusers weren’t the enemy. He was fulfilling God’s mission. It wasn’t pleasant. That’s for sure. But, it was necessary for our salvation.When someone challenges you, points out a fault, or falsely accuses you, it’s a natural defense to point out the accuser’s faults. It’s childish, but it’s natural. But, it doesn’t get you anywhere.If what they are saying is true, even if it’s hard to accept, then we need to take it under consideration. If it’s false, then we really don’t need to worry about it.My kids often get hurt feelings when one calls the other a “baby.” I’ll ask them, “Well, are you a baby?” “No,” they reply. “Then don’t worry about what they say.” Now, nobody likes to be called a “baby,” not even me, especially when I am acting like one. What If I’m Not a Good Example to My Group? When it comes to measuring up, most small group leaders fall short. That’s the simple truth. You’re not the only leader who fought with your spouse right before the doorbell rang and your first group member arrived. You’re not the only group leader who’s lost your temper, then felt the need to paste on a smile. What do you do when you feel like you don’t measure up to God’s standard? Should you stop leading? If that’s the case, we’d all stop leading. While we should all strive to become more like Christ, if perfection is the qualification, then that sounds like a pretty empty tent to me. I hope Jesus enjoys His solo camping trip. Every person on the face of the earth has fallen short (Romans 3:23). No exceptions. There are no perfect people. Now, this isn’t an excuse for bad behavior. It’s just the simple truth that even at our best, we just don’t measure up. Fortunately, there is also good news. If the requirements are to be blameless, righteous and truthful, we all fail to meet those requirements. But, Jesus is blameless (Hebrews 4:15), righteous (Romans 5:17), and the Truth (John 14:6). Some would say the solution is to act more like Jesus. WWJD? 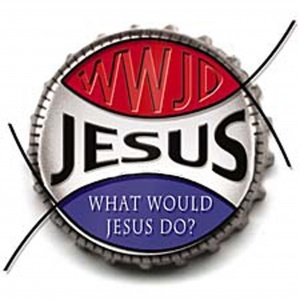 (What Would Jesus Do?) Only problem is, we can’t live up to that either. Jesus always did the right thing. Jesus always had the right thing to say. He always had the right response to the Pharisees’ tricky questions. No one tied Jesus up in knots intellectually. No one got His goat emotionally. Nothing broke His connection with God spiritually. Imitating Jesus is not the answer. We’re just not that good. What if we stopped trying to live for Christ and allowed Jesus to live His Life through us? Jesus said, “I am the vine; you are the branches. If you remain in me and I in you, you will bear much fruit; apart from me you can do nothing” (John 15:5). Jesus doesn’t desire for us to try to become like Him with our own efforts. Jesus just wants us to get out of His way, so He can do His work. Our job is not to work hard on being blameless and righteous. Our job is to remain connected to the Vine. Sometimes we’re so busy with the appearance of the fruit, we forget the connection to the Root. Decorating ourselves with artificial fruit might fool some of the people, but we’re really only fooling ourselves. Disconnection from Christ doesn’t produce fruit. It produces death and uselessness (John 15:6). How do we remain connected with Christ? First, we keep ourselves in constant conversation with Jesus. Not out loud in public places like some kind of a freak. But, to ourselves. Rather than mulling things over and over in our heads – replaying old tapes that keep us defeated – we need to talk to Jesus about it. “I don’t feel too good about this meeting coming up. What should I do? How should I handle this? Please guide me and help me.” And, guess what? He does. When we read the Bible, it’s not for the purpose of discovering more things that we’re required to live up to but can’t. The Bible reveals God’s vision for our lives. When we read things that might seem impossible to do, we take those to Jesus: “Jesus, if you want me to be kind and compassionate like you said in Ephesians 4:32, you’re going to have to do that in me, because I’m not going to get there on my own.” As we surrender ourselves and give our natural responses to situations over to Jesus, He will guide our words, our actions and our steps. Here’s the best part – the blamelessness, righteousness and truthfulness required to dwell with God is exactly what Jesus gives us. We aren’t blameless. We don’t become righteous on our own. We walk in the Truth by allowing the Truth, Jesus Christ, to live in us. What part of your life doesn’t look like Jesus? Before you start beating yourself up, ask Him to create Christlikeness in you. You just might be surprised at how Jesus can change you for good. Doing ministry without the power of Christ is like trying to fly without an airplane. You and I lack the ability. Doing God’s work in God’s way with God’s power will reap God’s result. You are not alone. How Can I Encourage My Group Members to Open Up? When your group members joined the group, what were they expecting? Were they looking for a 60 minute inductive Bible study followed by brownies and coffee as thanks for surviving it? Were they looking for a free-flowing discussion of everything that popped into their heads? Did they know what to expect? 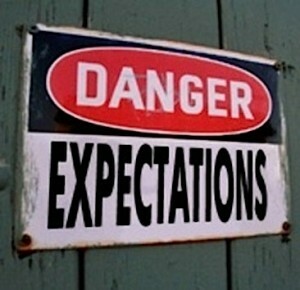 Managing expectations is crucial for a successful group. Rather than dictate what the group will be or won’t be, it’s best to start by discussing what kind of group the members actually want. A simple exercise like having everyone write their top three group expectations on a card, then tabulating the results will go a long way in getting buy-in from the group. If the group skews toward Bible study, then gradually implement some aspects of care. Start with something simple like asking for prayer requests and closing the meeting with prayer. As the group continues to meet, begin to focus more on application questions rather than Bible exploration questions. Don’t get me wrong. The discussion should be based on God’s Word. But, you want to aim for where the rubber meets the road, not where the rubber meets the air. “Speed of the leader, speed of the team” is a common axiom from Bill Hybels, founding pastor of Willow Creek Community Church. The leader sets the pace. If you are open with your life, then others will be open with theirs. If you hold back, so will they. A couple of years ago someone gave me an older car. It’s not perfect, but it’s transportation and a gift at that. One night I became frustrated with the dashboard lights. About a third of the lights wouldn’t work. Out of my arsenal of mechanical expertise, I pounded my fist of the dash. The change was both immediate and dramatic – I now had no dashboard lights. Driving in the summer or during the day wasn’t a problem. But, anytime I had to drive early in the morning or at night, I had absolutely no idea how fast I was driving. I was embarrassed by my “repair.” While I confessed the problem to my wife, I never mentioned it to anyone else. But, one day a circle of folks in the office were discussing their cars’ various ailments. I chose that moment in the safe circle of used car owners to confess my dashboard issue. A woman turned to me and said, “My husband has the same problem with his car. He uses his GPS to check his speed.” What a brilliant idea. I had a GPS. I no longer needed to fly blind at night. “No, officer. My dashboard lights aren’t working.” Somehow I imagined only a scenario with multiple traffic tickets involved. Now, I had the knowledge to detect my own speed and avoid a traffic violation. I never would have learned that workaround if I had never admitted my problem. As Rick Warren says, “Revealing the feeling is the beginning of healing.” And, it has to start with the leader. I shared this story when I spoke at a church a few months back. The next week, the Executive Pastor called to say that my message already was making an impact. A man confessed to his men’s group that his marriage was on the brink of divorce. 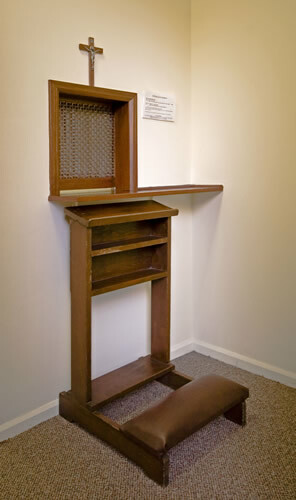 He and his wife were separated, and he didn’t know what to do. Rather than judge this guy for his situation, his group members rallied around him to support him and his wife through their struggle. My illustration of automotive failure helped him open up about his marital failure. Group leaders are no better than the group members they lead. You must be careful the leader title doesn’t block the way for your own vulnerability. If you’re group isn’t opening up, you need to check your own transparency in the group. Your honesty will encourage theirs. 3. Set the Meeting Agenda. To balance the need for open sharing in the group and the need to meet group expectations, the group agreement is the ideal place to start. If you’ve never created a group agreement, you should soon (Read more here). The ground rules for your group could include an option where the group can help a member process a life situation. Some issues involve more than a casual mention during prayer request time at the end. If a group member has faced a devastating turn of events like a job loss, marital blow up, issues with children or other bad news, the group should allow space to even put the Bible study aside and support their friend in need. But, you don’t want your group to turn into the “crisis of the week.” While every group should offer support, there is a difference between a small group built on relationships formed around a Bible study and a true support group. If a group member needs dedicated support for marital problems, grief or a life controlling issue, then a specific support group may offer better help (Read more here). If during the discussion, you notice a group member getting teary or tender, stop and ask if they want to talk about it. They might or might not. The last impression you want to leave is that the meeting agenda is more important than the group members in the meeting.